I am very interested in the 'decorative 3D natural stone wall panels' that you released on STONEBTB.com. I am very interested in the 'Giallo valencia' that you released on STONEBTB.com. Hi I need the CNF Doha price of GIALLO VALENCIA 2cm slabs and 3cm slabs along with the images. With Regards Cherin. 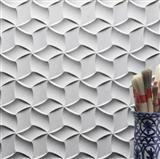 I am very interested in the 'Natural stone 3d cnc interior wall panel' that you released on STONEBTB.com. Hi, Please send me your email ID for enquiry of tiles.